Philadelphia with Cadbury, Philadelphia’s latest snacking sensation, teams with Shopitize to gain deep insight into shopping habits. Mobile shopping innovator Shopitize has announced that Philadelphia with Cadbury has become the latest brand to trial its unique brand-to-consumer cashback mobile couponing service to offer exclusive grocery deals on its brands direct to its consumers. An exclusive group of 15,000 savvy shoppers in Britain are now using Shopitize’s money-saving app over the past three months on a regular basis to get up to 80% cashback on the RRP of products they buy which are featured in the Shopitize service. Following successful trials, the app service has now been opened to the wide public and can be downloaded by any smartphone user in Britain. As a result of this agreement, these sharp shoppers will now get cashback on Philadelphia with Cadbury products bought from any of the main supermarkets. Some 50 deals figure currently in the couponing service and more are added each week. Philadelphia with Cadbury has been causing a taste sensation with its unique taste of Light Philadelphia and Cadbury milk chocolate - blended together! Just like the rest of the Philadelphia range, Choccy Philly is a versatile and reliable staple that is delicious spread on bread, toast, bagels, biscuits, or even as a dip for fruit. 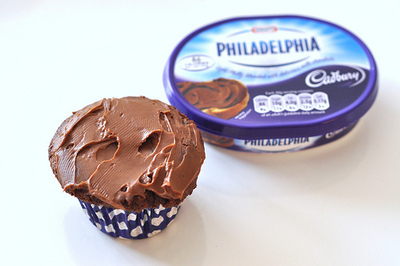 A satisfyingly, sweet treat for Philly and Cadbury lovers alike. Other brands using the Shopitize service to gain insight into the shopping habits of their shoppers already include General Mills, Kellogg’s and United Biscuits as well as several niche players including Aunt Bessie’s and Little Dish. Shopitize, one of the UK’s top 6 innovators according to network giant Cisco, was the first company in Britain to develop a free mobile-couponing shopping app with user friendly features that render competing versions pale and clunky in comparison. All savvy shoppers need to do is visit their local supermarket and buy the products featured in the Shopitize app. Using the app, they scan the barcodes of the items on offer and then take snaps of their shopping receipts, which are then automatically processed and validated by the Shopitize mobile ecosystem. Cashback is then instantly credited to their Shopitize account for payout when they reach £5 credits.